Friday Feature 6/16/2017 – Player Cities! It’s been one month and 12 days since the official launch of an Empire in Flames! During this short period of time, we’ve experienced tremendous growth. Roleplaying is getting started and various venues are being created by the players. EiF launched with a new player starter city outside of Coronet on Corellia. Broken Bridge was a great place to begin adventures and get the feel of the game again and EiF’s spin on it. 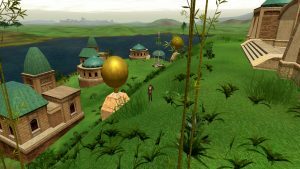 As with any SWG environment and especially one filled with a majority of roleplayers, player cities started popping up within a couple weeks. Many now have their shuttleports and welcome visitors to their delightful towns and cities. EiF asked the mayors of the cities to share some information with the community to give players an opportunity to find the city which will meet their own characters’ needs. Below find information about some of the cities in an Empire in Flames. A complete list of all cities and their mayors is at the end of this Friday Feature. IC: We’re protecting the core from the dirty republic scum. OOC: We have a guild running out of the city. 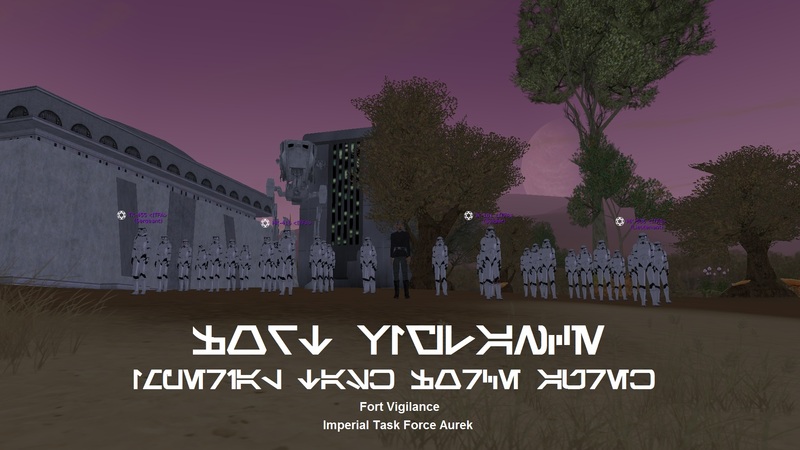 Imperial Task Force Aurek (ITFA) which is a stormtrooper division, open to only human combat characters. The Fort though is a safe haven for all loyal imperial citizens and we accept crafters, entertainers, and neutral characters. I’d like to see a bustling metropolis where business and RP can thrive. I am offering free houses to all new citizens and over a month in free maintenance. Also I am levying no taxes on the citizens. IC description: Nestled between the mountains and protected from the harsh storms of the sand dunes of Tatooine sits a modest outpost. Cioral Station, funded and operated in part by the Csaplar Ruling Family’s agriworld colonial affairs program, is an independent colony outpost situated within the north-western mountains of Tatooine. Day-to-day operations focus mainly on the upkeep of the facilities, including the local bazaar, power generators, and various homesteads. Despite staking no claim in the Galactic Civil War as of yet, the presence of an Imperial base situated next to one of Tatooine’s rare oasis has not gone unnoticed by the few residents. Within the outpost, there are rumours and rumblings of a seedy underbelly taking shape. For now, though, too much energy is being spent on the foundations of the humble station to worry about galactic matters such as a “war.” The station is looking to expand and secure a foothold over the area and recruitment efforts are underway for more local colonists. The city currently offers an open bazaar, where residents can sell their goods in small shops that they can decorate to their desire while providing a central area for commerce. Future developments include a cantina, communal crafting hall, and medical center. OOC intent: Cioral Station is new and ready to be shaped. We have an organic, but compact layout in mind to keep the frontier, outpost style as immersive as possible. We’d like to foster a close city community with the idea that, just as a real outpost, our work together can make us independent. In that regard, we’re actively seeking doctors, entertainers, rangers, crafters, merchants, and all other types of characters who are interested in a tight-knit community feel for both OOC and IC. The city is neutral in the GCW at this time, but that does not mean that it will stay that way and while there is no overarching plot to the city just yet, we are very open to just letting that develop as it comes. We’re looking for anyone interested in light, but tight-knit frontier/outpost RP. This can include working and managing within the city, but also in hunting parties on the outskirts for supplies and resources to later be sold in-town. We’re looking for players that are interested in helping the outpost grow and keep it maintained, which can be through various means. While cities cost a lot to run and are a community effort, this is meant to be a casual and fun community – no one will be expected to do anything other than contribute in their own way in a positive manner. 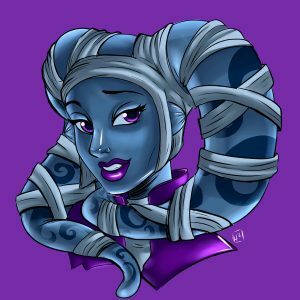 If you have questions or are interested, feel free to respond here, send a tell to Sabosan’ola’nae in-game (be aware that I AFK survey while at work), or speak with me either in the Cioral Station discord (https://discord.gg/bBhzyyp) or privately (Blueberry#0459). 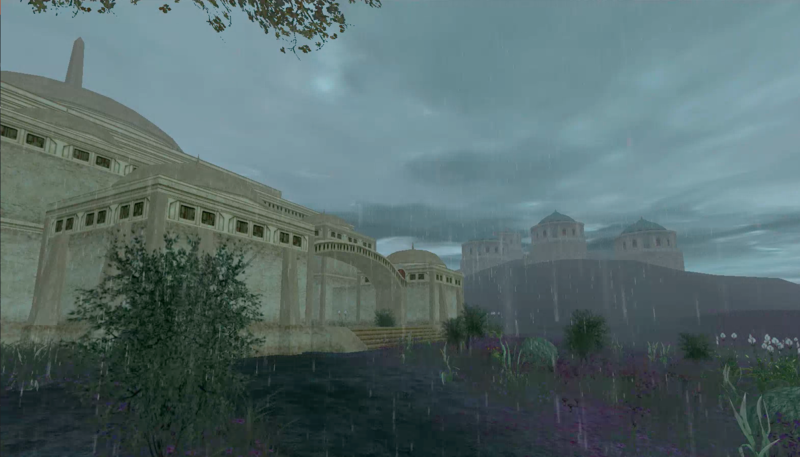 IC Description: Gnorton is a beautiful villiage located on Naboo, in the river washed lowlands southwest of Keren. Surrounded by scenic mountains and lovely riverfront property, it is hard to find a prettier place on Naboo. We welcome anyone who would like to join us, and offer no discrimination to anyone seeking a home in our gorgeous little corner of the galaxy. Gnorton is a city about freedom. We offer an environment free of criticism no matter what individuals choose to do with their lives. 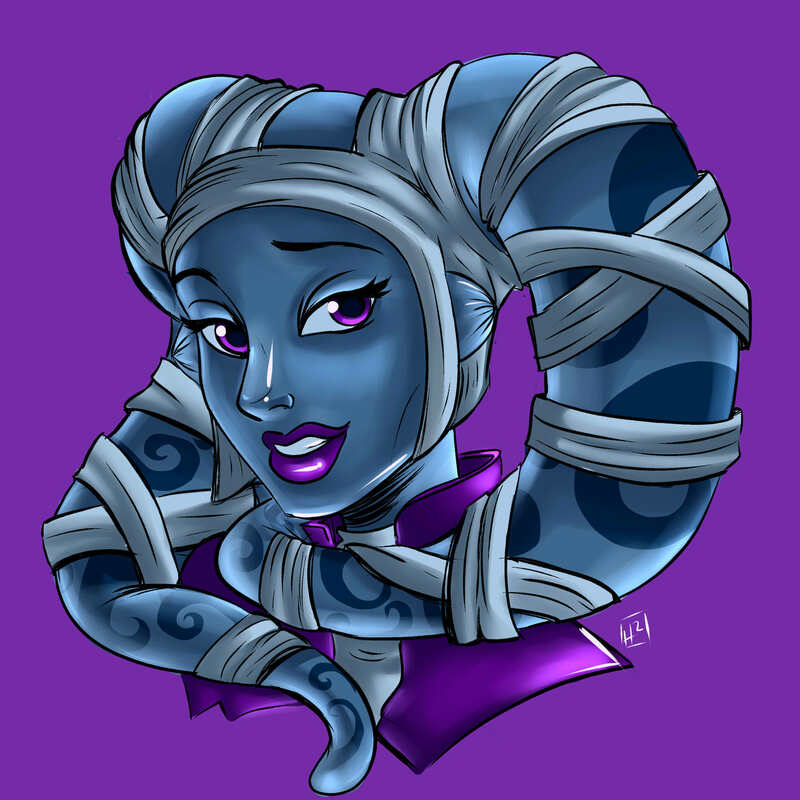 You want to juggle kaadu’s? Hug rancors? Wear your underpants on the outside? As long as you don’t bother anyone, you are welcome in Gnorton. We are a peaceful and receptive city that wishes only the most judgement-free environment for its constituents. OOC Intent: We are true to our words when we say we are about freedom, as there will never be a faction terminal or city-sponsored factional event (if devs take things out of our hands, we can’t police everything!) We intend to stay neutral, making it possible for players to have a community seperate from the ongoing conflict between the New Republic and the Empire. It’s okay to have friends on both sides! You’re imperial? Fine, just don’t bring your decorations and contentions within city limits. You’re organizing for the New Republic? Good for you! We have no interest in being the venue for your next demonstration. The idea is to respect everyone and leave the rest at the proverbial door. If someone leaves their hat on, just leave it be. We are looking to grow into a research center. We are capable of placing a shuttleport and only lack the citizens. We will also never, ever, EVER levy taxes for any reason. Donations to the treasury however, will never be refused. Any citizen is able to contribute to the city treasury via the city management terminal in city hall. And anyone can place any type of house that can be placed on Naboo. Enjoy EiF and a Player City near you! 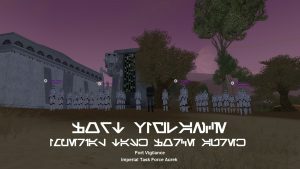 This entry was posted in Friday Feature, News, Player Cities, Roleplaying and tagged Empire in Flames, Friday Feature, Player Cities, Star Wars, Star Wars Galaxies, SWGEmu by Sandarie. Bookmark the permalink.